Some people are just born for greatness. Meet Franco Lofranco (“Cavalier Franco Lofranco”). At the age of 22, he was already a success at ACN. He not only enjoyed selling the products, but he enjoyed offering jobs and earning opportunities to people around him. Besides the seminars and training programs that ACN provides, he offered his own personal growth seminars, because he really wanted his team to prosper. In a little over a year, Franco left his four businesses, joined ACN, and the rest is history. He realized that with ACN, he could enjoy offering people a way to make money, customers to enjoy high-quality products, and personal time. He wanted to help his parents retire, and he was able to accomplish this goal. Franco says he feels much happier and free. He can go wherever he wants, do whatever he wants to do, and it feels great. Now, he makes time for family and friends. He says that he sees this is how life was really meant to be. He truly loves working with ACN. How many people can say they truly love the place and the people they work for and with? Franco also loves the fact that he doesn’t have to worry about overhead, office space, or capital costs. He can just get paid for his work. To him, this is the real meaning of freedom. 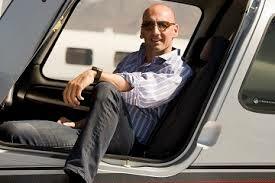 I have written about MLM top earners, and Franco has earned his spot. He falls in line with some of the other ACN top earners like Art Napolitano, Simon Abboud, and Patrick & Mike Masser. He is one of ACN’s top 10 earners in the company. He is a SVP and Circle of Champions member. His residual income is $120,000.00 per month. This is not bad for someone who didn’t even want to get into network marketing in the first place. ACN is a multi-level marketing, privately-held business that focuses on providing energy and telecommunication services to home and small business owners. ACN strives to make individuals successful entrepreneurs and small business owners. The reason ACN is prosperous, is because the company provides services that people use every day, like internet, phone, and home security. ACN is the largest direct seller of telecommunications in the world. Independent distributors sell the products through either ACN or another brand-name provider. If you are interested in the multilevel marketing industry, it makes sense to sell products that everyone already use. Right? A no brainer, I would think. Kinda like the coffee market that Organo Gold taps into. Moreover, customers can go online to their own, personalized ACN Direct Online Store. Customers can purchase from any provider they want. Unlike some of the other direct selling businesses, IBOs don’t have to convince customers to buy products that they may or may not use. Chances are, everyone you talk to is already using one or more of each of the products that ACN offers. As an IBO, if you sign up five customers for the same service you have, you get that service for free. ACN is a global conglomerate and has offices in Asia, Europe, and Asia-Pacific. Franco Lofranco believes that the compensation plan at ACN can pave the way to financial success. He believes the success of multi-level marketing relies on two factors, which are confidence and belief. ACN have remodeled its compensation plan. An ACN consultant can start earning residual income quickly. For anyone who is willing to put the work in, you can create long-term income that provides financial and time freedom like never before. Which, like most everything else in this world, you have to put the work in in order to be rewarded! Nothing is ever really free! If you recruit others into becoming independent distributors, you earn bonuses for every customer and service your recruit obtains. There is some serious income that can be earned at ACN. With a large number of individuals still unemployed, and companies unsure of their future, ACN MLM business is bringing the opportunity of a lifetime to the world. ACN works hard to give back to the community. The Project Feeding Kids program works like this: every time customers pay their bill, a child gets a meal. Pretty simple, and pretty awesome! The goal of ACN is to provide over one million meals this year. In addition, the company has earned other awards, including the DSA Top 100 and the Telly Award. 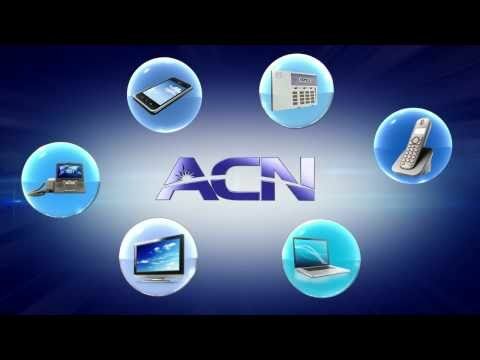 What is the future of ACN? Something I found interesting about Franco and ACN is that in the first year, he wasn’t that successful. According to him, he was still learning, and he knew from being a business owner for many years, you have got to have patience. I think this is important to remember. You might not get the level of residual income that you want right away. But if you keep working at it, setting new goals, and meeting them, it will come soon enough. What is the best way to eat an elephant? That’s right…..one bite at a time. In other words, you have to chip away at your goals and continue to work at them everyday. Not just give up on them at the first sign of struggle or failure! As a matter of fact, Franco said that it was almost two years before he got his business plan together for success. Can you be patient for two years, working out the kinks in your business structure, until it all comes together? This is something to think about if you want to be a network marketer. Franco says that the power of residual income is great. If he wants to go on vacation, he goes on vacation. If he wants to take time away from his business, he just gets up and off he goes. Now, I don’t know about you, but sure sounds like freedom if I have ever heard of it. He also says that the reason he really like ACN is because of the services it provides. Franco knows other people in the direct marketing business trying to sell lotions, vitamins, or potions that people may or may not have any use for. In reality, it is hard, and these distributors are struggling. What ACN has, everybody uses. You are shocked if you know a person that doesn’t have a cell phone. The products and services offered by ACN are perpetual and eternal. This is what true residual income is. You can keep building your business, and it will continue to keep paying you over and over again. I enjoy hearing, reading, and writing success stories about MLM top earners. ACN network marketing business delivers on everything you want if you are looking to get your foot in the network marketing field. I know I have said you can’t just rely on products, which is true. But these services sell themselves. Internet, cable, and cell phones are the biggest demanded services in the telecommunications sector. I know folks who would practically fall out if they didn’t have their mobile phone and internet. So, like Franco said, the products practically sell themselves. Now I see why he was saying that as a distributor, you don’t have to “convince” a customer that they need internet and cell phone service. In this day and age, with everything being online, you’ve got to have internet. I admire anyone who steps out in faith, and make life changes to better themselves. What courage it takes to give up four companies to work in an industry that you know nothing about. MLM is growing, and it is good to hear stories about people going after being their own boss. I know from personal experience, it is not easy always to work for someone else. If we are honest, corporations don’t care about their workers. The only thing they care about is what you can bring to the table. If you are making your company money, then you are a good worker. As far as training, some people get it, and some don’t. Most of the time, it depends on your title and position. Independent distributors want their team to do well, because it is a direct reflection on them. When the direct selling company sees that your down line and up line are thriving, it shows you are a good leader. Being recognized for your efforts tells everyone you are doing your job right. It must be nice to work for someone who will take the time to train you, making sure that all your needs is met. I have heard of distributors who went to the homes of people on their team. Mind you, the person lived on the other side of the world. They wanted to make sure that their recruit was doing well, and if there was a problem, they were right there in the home to fix it. Now that is some serious dedication to your team, don’t you think? People are tired of corporate America. Who wouldn’t want to work for themselves? You get to stay at home and work at your own pace. Also, with MLM and residual income, you will continuously earn money. You can enjoy life on your own terms. It sounds like more and more people are coming into network marketing. If you are thinking about it, it’s no surprise. Like Franco Lofranco, you will get a new lease on life and the goodness it brings. If this sound like the fulfilled life you desire, let me know below. I would love to hear your story!